While we have discussed the strategic implications of tomorrow’s critical Italian elections previously (An Italian “Hung Parliament” – Europe’s Biggest Political Risk), the actual chronology of events of tomorrow’s Italian elections which proceed through Monday is somewhat nebulous. So courtesy of JPM’s Alex White, here is the complete 10 step walk-thru of what to expect starting tomorrow, and ending, perhaps, with the appointment of a new President in May, unless of course there is a slight detour…The following is an indicative outline of how events may unfold in Italy over the coming days. Some significant differences and delays are possible. Sunday/Monday: Electors (age 18+ for the Chamber, age 25+ for the Senate) are able to cast their vote from 8.00am to 10.00pm on Sunday, or from 7.00am to 3.00pm on Monday. Monday Afternoon: Vote counting will begin as soon as polls close at 3:00 p.m. (2.00pm London, 9.00am NY) on Monday in the following order: Senate, Chamber, regional positions (in Lombardia, Lazio, Molise). Broadcasters will be making predictions through the afternoon. We should get some (likely inaccurate) polls after the close. Monday Evening: Some initial estimates are expected for the first time around 4.30pm Monday for the Senate, 6.30pm for the Chamber (local time) – possibly slightly later. Monday Evening: For the Senate, interim updates may be released every 30 minutes until 50% of the count is completed. When 50% of the count is completed a first estimate of the distribution of seats should be announced (likely around 6.30-7.00pm or later). Monday/Tuesday: We expect to have a good indication of the Senate and Chamber numbers late on Monday night (possibly by around 11.00pm). Formal results for the Chamber may not come through until first thing on Tuesday morning (with the regional positions being announced on Tuesday late afternoon). In the previous election, both sets of counts were 90% complete by 11.00pm on election night. Tuesday: Early (informal) discussion on possible Government formation may begin on Tuesday (formal talks will wait until the President gives a mandate). The process of Government formation may take some weeks, but it should be clear on Tuesday whether Bersani-Monti have enough seats between them to build a coalition. March: Election of the presidents of the Chamber and Senate usually happens within 2-3 weeks and the Prime Minister should be in place by end of March at the latest. There will be lots of noise over this period; but the result should not be in doubt if the parties have the numbers they need (uncertainty would obviously dominate in the case of a hung parliament). 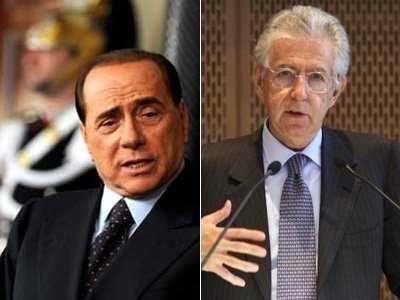 May: A new President of the Republic will be appointed to replace President Napolitano in May.